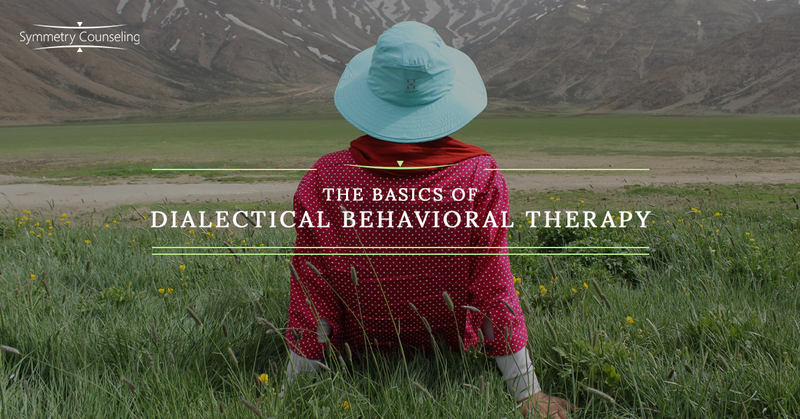 In this video blog, Shannon Duffy talks about the basic modules of dialectical behavioral therapy. Follow along for our video series in which our team of experienced therapists in Chicago explains different therapeutic concepts that you may find helpful. As always, if you have any questions, feel free to reach out to connect with one of our counselors and we would be happy to help! Dialectical behavioral therapy, or DBT, originated in the 80s as a breakthrough from cognitive behavioral therapy (CBT). DBT has more of a cognitive and emotional regulation stance with a focus on creating acceptance. Ideally, the therapist meets the client where they are. The goal is acquiring new skills and to help each client make a life that is worth living. This core idea correlates with meditation, being able to have more of a sensory awareness, being able to be more present-minded, having a more non-judgmental view by being in that present focus. One skill commonly used is the wise mind skill. We each have two sides of our mind: the rational mind and the emotional mind. The rational mind is more your logical side, while your emotional mind is more reactive and about your feelings. Where they overlap is called the wise mind, which enables you to stay more mindful in your thinking patterns and create intuition. This demonstrates the importance of balance. This is building the skill set towards tolerating distress. Your therapist works to help you develop skills such as distraction, focusing more on self-care, and improving the moment using pros and cons. A way to use accountability in using these skills on a daily basis is using a diary card. This entails tracking your behaviors that distract from the progress you’re trying to make and tracking the skillset you are trying to use. This skill helps you identify and label your emotions. Ideally, what we’re looking to do is to observe and experience the emotion happening, accept it, and be able to let it go. We want to be able to ask for what we need, being able to say no, and being able to cope with interpersonal conflict. If you think you could benefit from DBT, we would love the opportunity to help you! We have several therapists on staff who are trained in this therapeutic approach. Contact Symmetry Counseling if you’re looking for a therapist in Chicago!